Hans Hoffman – Memoria In Aeternum, 1962 Oil on canvas, 7 x 6 ft. It occurred to me a few days back that although I own a good many painter’s monographs I hadn’t acquired one on Hans Hoffman. It seemed an important omission; not least as the college copy of the big Sam Hunter Abrams book was a constant companion during my undergraduate days. As usual Abe books obliged, sadly not the Abrams but a rather good, almost new, copy of the Hudson Hills book that followed on from two shows in Germany in 1997. This has also the virtue of containing a good few plates of those canvases completed in 1964/5 the paintings to his first wife Miz and the Renate pictures following his marriage to her following Miz’ death. We talk often of the ‘late’ paintings of artists and this can mean just about anything in most cases…after all Franz Marc reached only 36. But it is extraordinary in Hoffman’s case. After all the ‘mature’ work (on which the significant part of his reputation rests begins in around 1956/7…when he was already 76 years old…so these final two years of canvases, of which there are many and amongst his largest, are the work of a man well into his eighties. Like Picasso and Matisse a truly ‘late’ explosion of further restless creativity – hope for us all then. 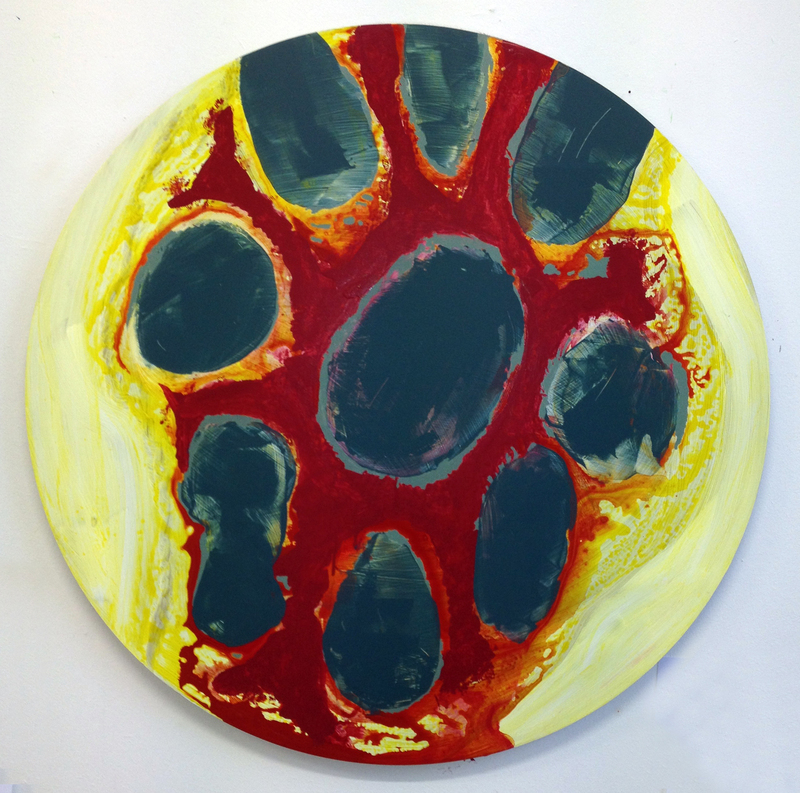 Why does his work appeal to me so much…no artifice, no slickness I guess. A lot (and I do mean a lot) of contemporary painting (indeed most contemporary art of whatever stripe) looks to me to be trying a bit too hard to be ‘clever’ in some way. Either conceptually or in handling and facture and so on. The ‘Hoff’ had no time for this at all. He painted directly and spontaneously and wasn’t afraid to reveal himself through the work. I like that very much indeed! 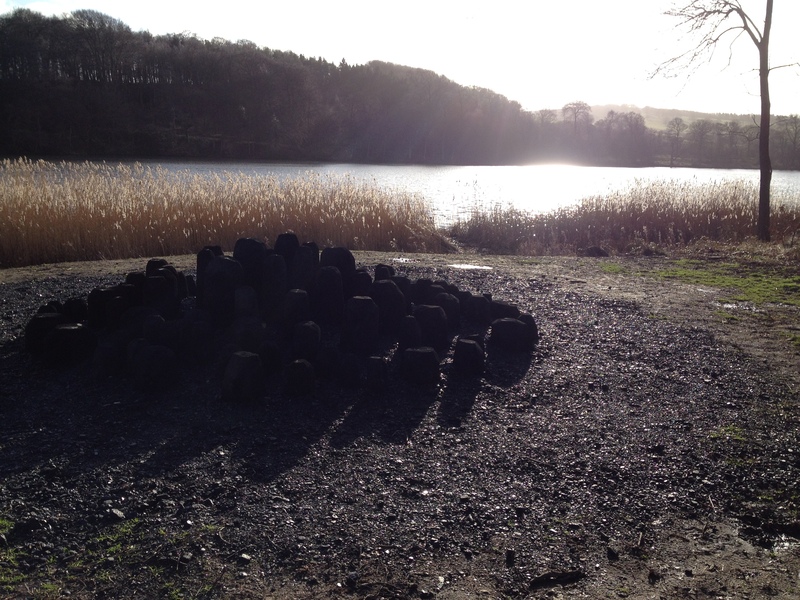 David Nash @ YSP, a crisp February afternoon! It has been hard to find much time to focus on my work over the past couple weeks as we enter the business end of the academic year. Although notionally I’m only doing two days teaching this semester I’ve been covering others and putting in extra to get the students over the finishing line or perhaps more accurately lined up on the home straight so their run in is reasonably smooth. I guess all of us who do this regularly struggle with this time when we have to flip the switch from coach and cheerleader to judge and assessor. However that process is moving to its conclusion now and although the next two weeks will be a little crazy it will, I’m sure, be ‘alright on the night’. Why am I sure? Because it has to be! It’s that time of year…working with students is always a heady brew of challenges and hopefully rewards. 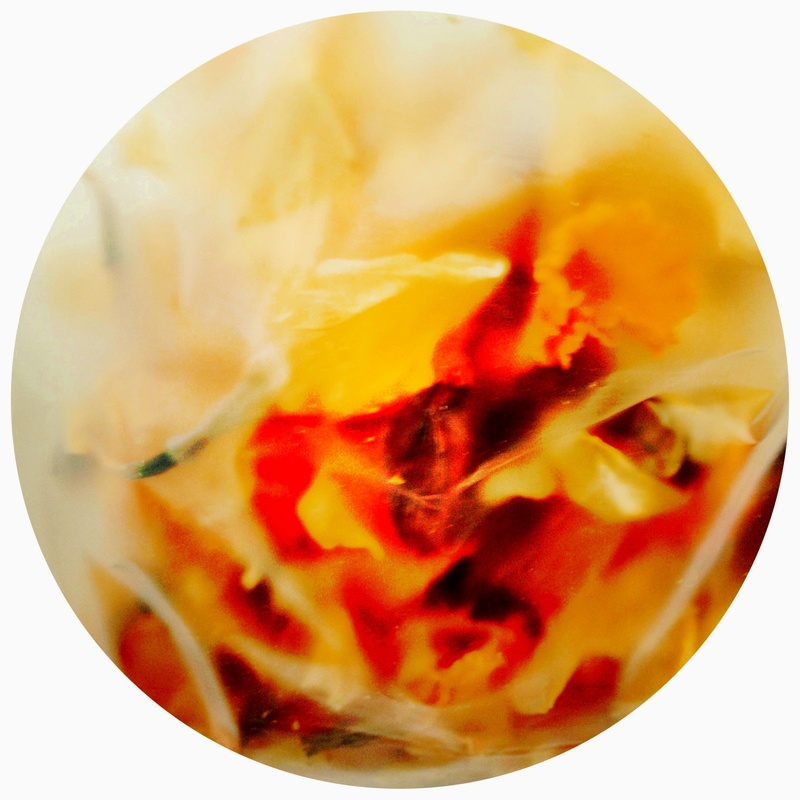 Take these images of dried flowers stored in translucent bags…interesting and attractive in their own right but perhaps, as yet, lacking that transformative moment that might make them into objects that we can call art. Will they make it? Now is the crunch time…often it comes down to how much the individual wants it to happen. So it’s as much motivational coaching as creative insights that one has to offer right now.